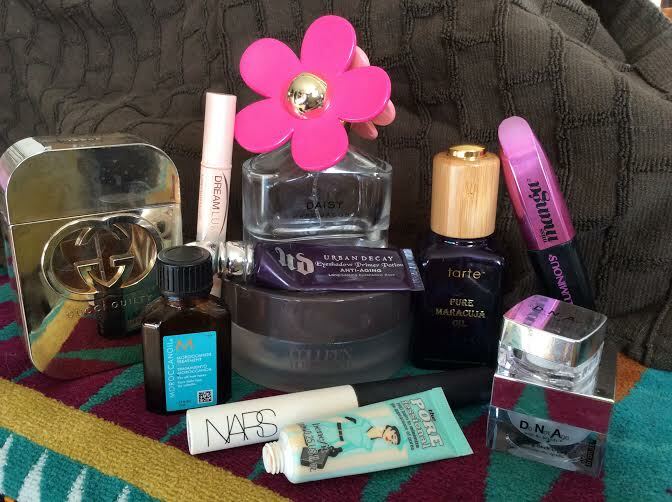 My last empties blog post was on March 18th and since then I have used up quiet a few products. Some I absolutely loved and will definitely be repurchasing and others I did care for and will not be repurchase. I am going to list these products in no particular order and write why I liked or disliked each product. 1. Gucci Guilty Perfume: This is my 3rd bottle and will definitely be repurchasing. This fragrance is simply empowering and I only seem to wear it when I know that that day is going to be fabulous and wearing this perfume will ensure that I get everything done with perfection. I don’t know how to describe this scent but to say it has a floral sweet scent. It’s awesome and I love it. 2. 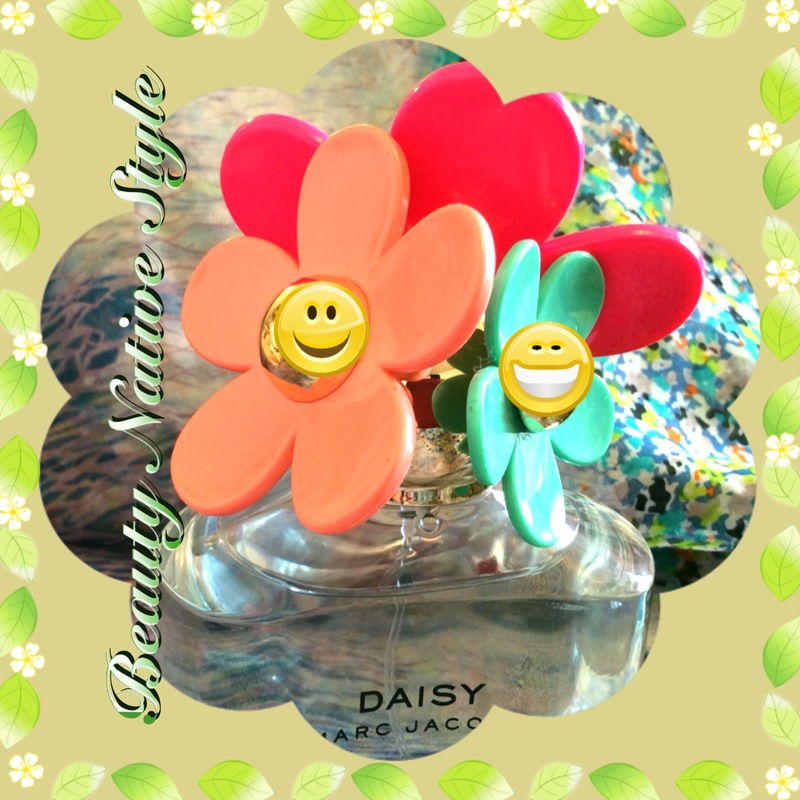 Marc Jacobs Daisy Perfume: Another great fragrance. This is my second bottle and will be repurchasing for is delicate lady like scent. It’s one of those perfumes that I wear almost everyday because of it’s soft floral scent that stays with me all day. Absolutely yummy. 3. 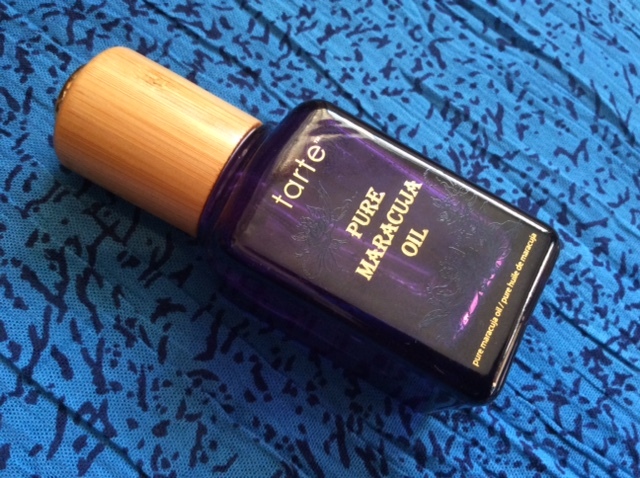 Tarte’s Pure Maracuja Oil: I can’t believe this is my third bottle since last Fall 2014. I purchased it to prepare my skin for the upcoming Winter season when my skin becomes more drier and needs help from the brutal Winters here in northern Alberta. It gave my skin the extra moisture it needed and will continue to use until the warmer spring/summer months set in. Highly recommend. 4. 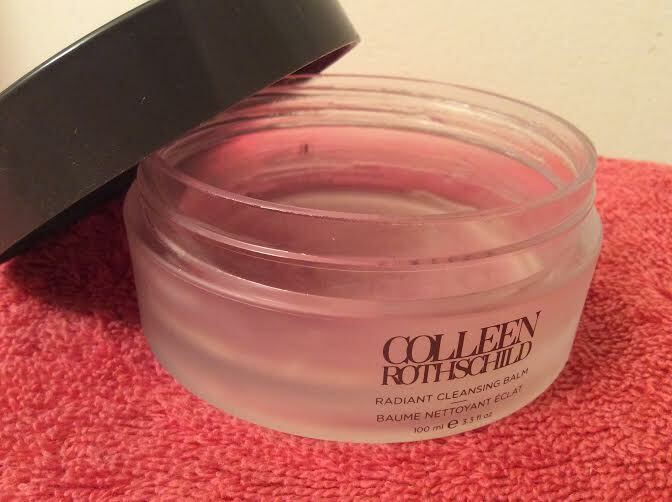 Colleen Rothschild’s Radiant Cleansing Balm: I watched Nicole Guerriero’s April Beauty Favorites 2014 video where she talked about her favs for the month and when she talked about the Radiant Cleansing Balm I was intrigued and thought I need this cleansing balm in my life. Shortly after watching this video I purchased three products from the Colleen Rothschild website: Moisturizing Cream, Night Cream and the Cleansing Balm. I am still working on my Moisture Cream which I use sparingly as these products were pricey. I just used the last bit of my cleansing balm last night and it lasted me almost a year, a little went a long way. It literally MELTED my makeup off and left my skin feeling smooth and fully cleansed. This product will be making into my 2015 favorites. I will also be repurchasing very soon. 5. NARS Eyeshadow Base: I have been using this product steady for the past month and not because I liked using it but because I was trying to use it up. I have oily eyelids and I heard other people saying that this product helped their eyeshadow stay on longer without creasing. Well it did not help me at all, maybe for a few hours. Anyway, I used it up and will not be repurchasing. I will stick with my UD eyelid anti aging primer. 6. Loreal Voluminous Manga Blackest Black Mascara: The brush applied the mascara evenly to my lashes and after a couple layers gave my lashes some nice volume and color. Not so much lengthening but was good. I like to use different mascaras and I don’t remain loyal to any particular brand. Why? Mainly because their are so many mascaras out on the market and enjoy testing them out. I stay away from the high end as the drugstore brands are just as good if not better. 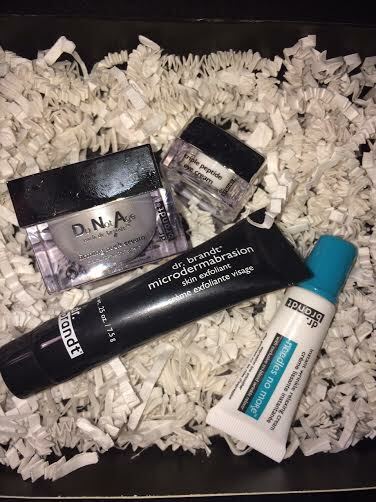 7. dr. Brandt’s Do Not Age Samples: I received the Neck Firm Cream and the Triple Peptide Eye Cream as a Sephora sample a few months ago and found that I liked the results. However, I like my current routine and will not be looking to purchase these products any time soon. 8. Moroccan Oil Treatment: I like using this product on the ends of my hair to keep it from drying out. It keeps my hair nice and health and gives if a nice sheen throughout the day. I will continue to purchase. 9. Benefits’s Porefessional: This was a small sample size I picked up while waiting in the Sephora checkout line. I have since purchased a full size and love the way it smooth’s over my pores and hides them nicely. Awesome product, recommend. 10. Maybelline’s Dream Lumi Highlighting Concealor: I am on my 4th tube and will continue to repurchase. This is my favorite drug store concealor and my shade is light medium. I love the twist up mechanism and the small brush applicator. Well that wraps up this months empties, hope you enjoy one or two of these products and would love to hear your thoughts on any one of these products.